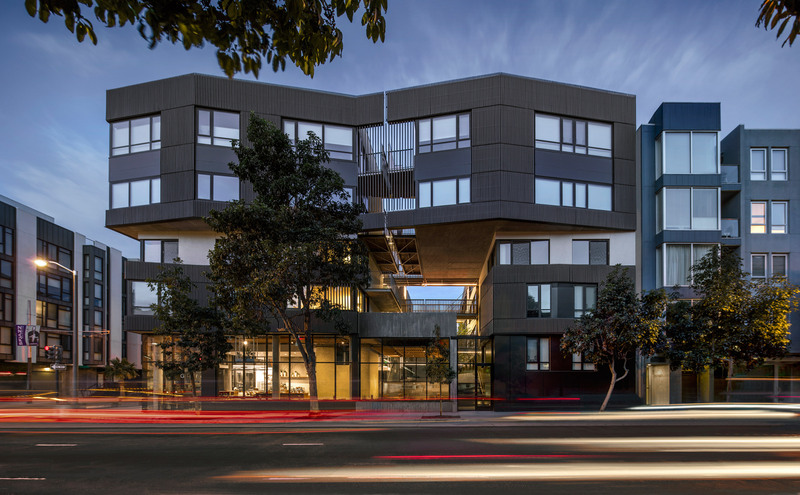 US studio Fougeron Architecture has completed an urban residential building in a San Francisco neighbourhood that features faceted facades covered with grey rods (+ slideshow). Called 400 Grove, the building is located in the heart of Hayes Valley – a formerly rundown district that has been transformed since an elevated freeway there was razed in the 1990s. The area is now filled with upscale restaurants and boutiques. The structure occupies a prominent site on the corner of Grove and Gough streets, which is one of several buildable sites that was created by the removal of the highway. Cultural venues and public transit stations are within close proximity. 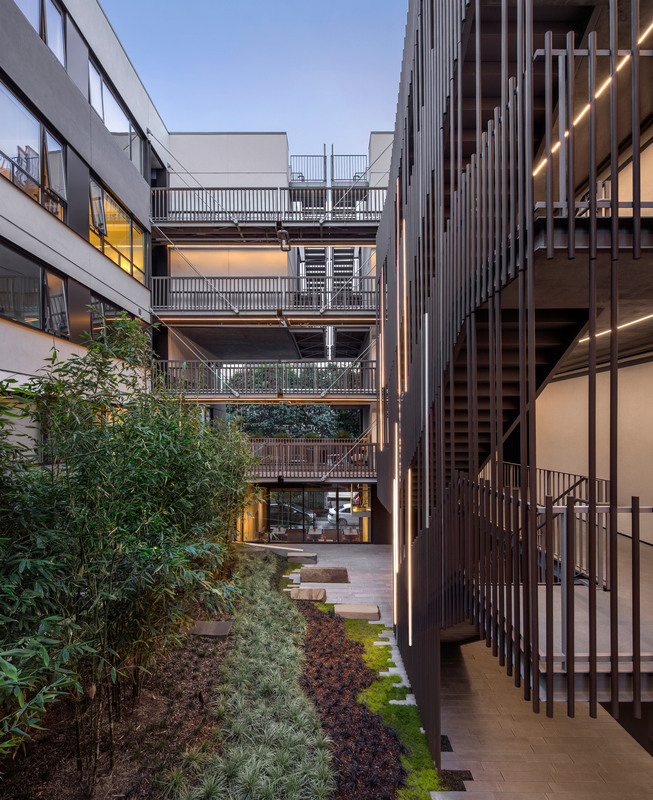 While conceiving the project, the design team took cues from the central mews typology, in which row houses are positioned along an internal alley that provides car access and serves as a place for neighbours to interact. 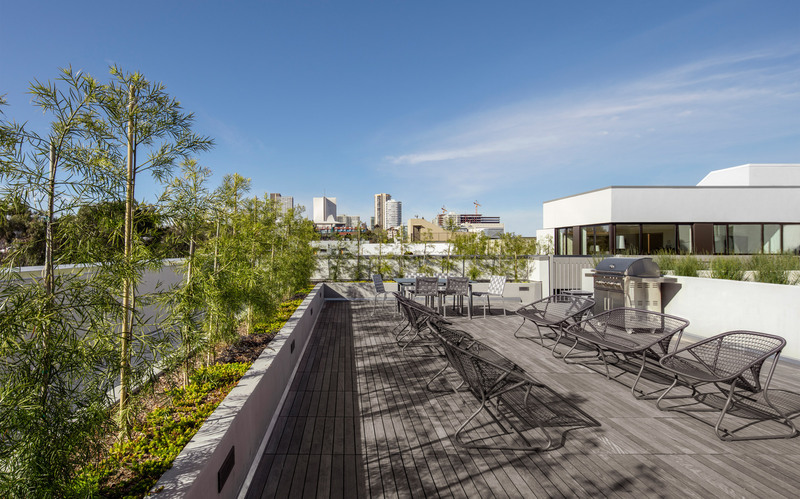 "This contemporary take replaces the alley with a landscaped common area accessible only to bicycles and pedestrians, strengthening the community focus of the open space," said Fougeron Architecture, a San Francisco-based firm founded in 1985 by architect Anne Fougeron. 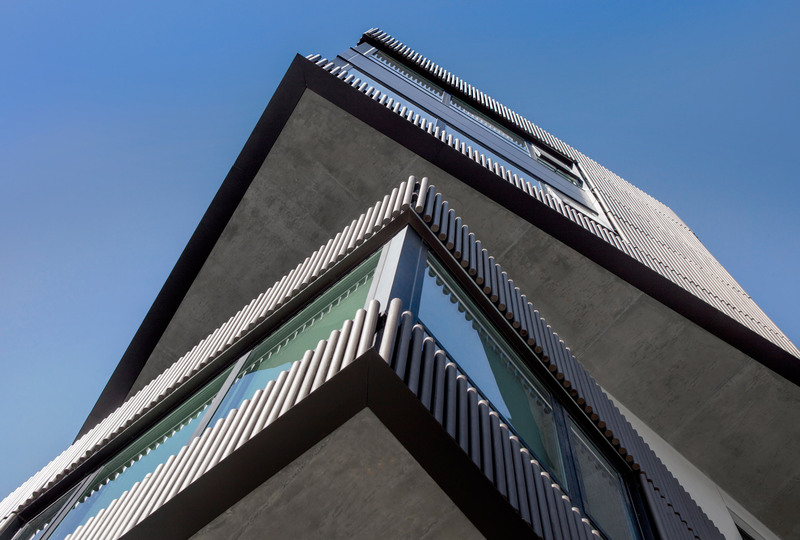 The exterior consists of faceted facades clad in dark grey wooden dowels. Angled windows – which allude to the classic San Francisco bay window – offer views of the bustling neighbourhood and the surrounding hillsides. Encompassing 34,000 square feet (3,158 square metres), the building contains 34 high-end condos, ranging from studios to one- and two-bedroom units. The majority of the residences "have light from two sides and an individual expression from the street, along with the amenities associated with urban living", the team said. 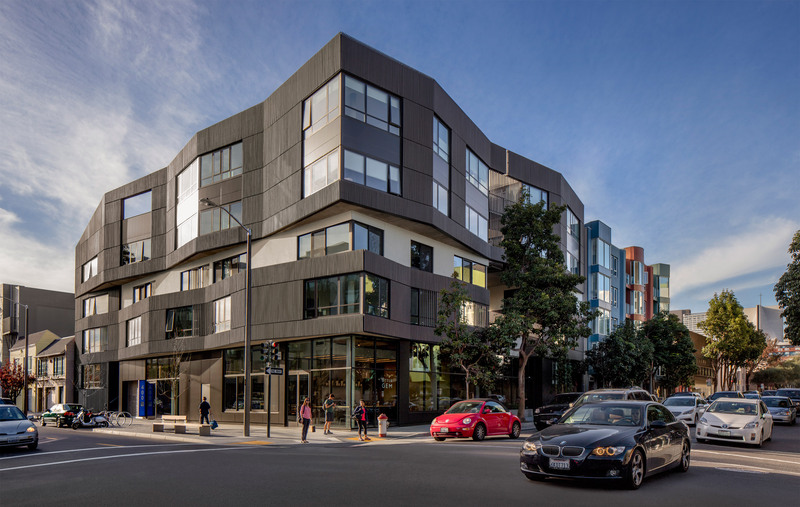 Other recent projects in San Francisco's Hayes Valley neighbourhood include aneyewear store by West of West and a contemporary townhouse clad in black zinc by Stephen Phillips Architects. Photography is by Bill Timmerman Photography (exterior) and Joe Fletcher Photography (interior).